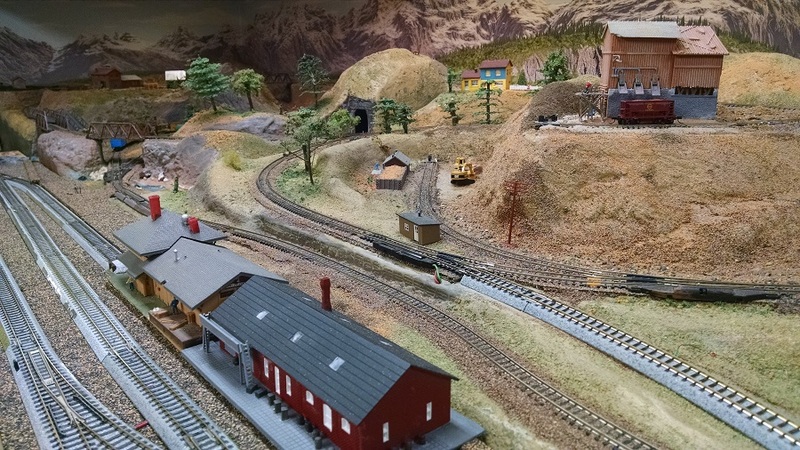 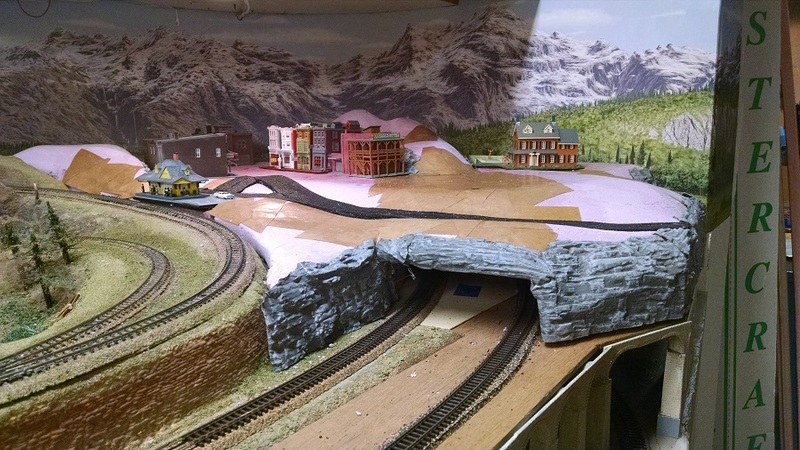 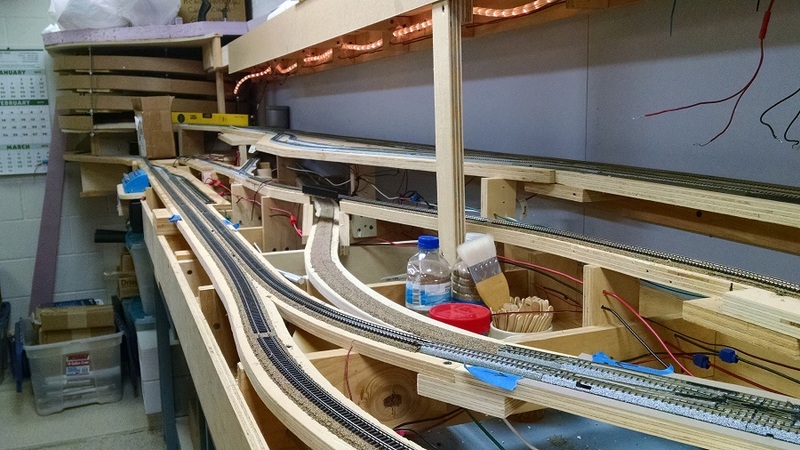 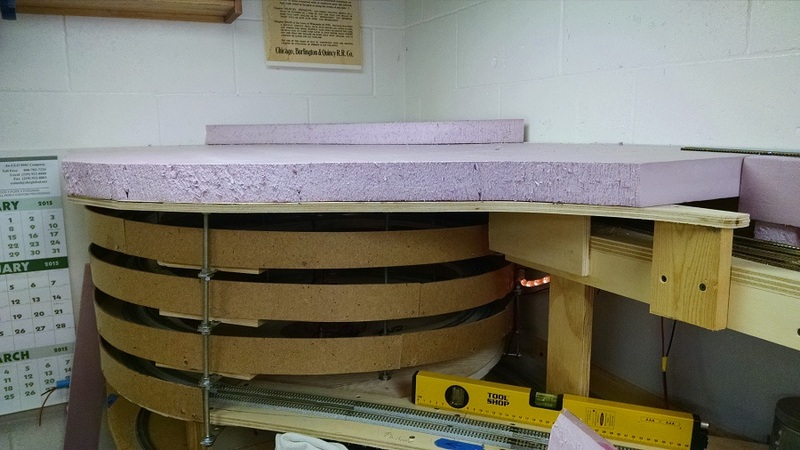 Here are a few pictures of Philip Gjerve's layout. 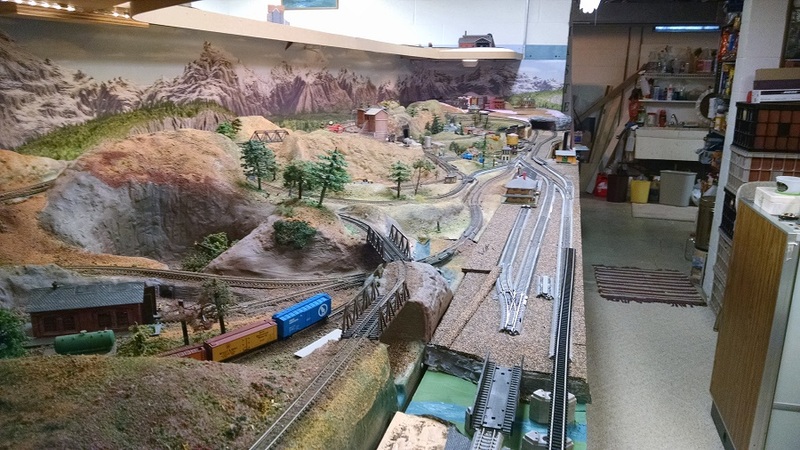 The Pine Cliff Divison of the Great Northern Railroad. 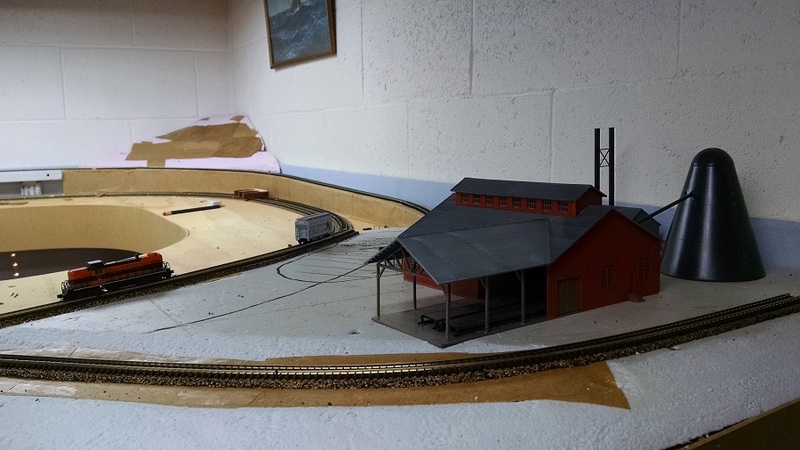 My entry into N gauge railroading was the result of reluctantly picking up a small layout at a swap meet. 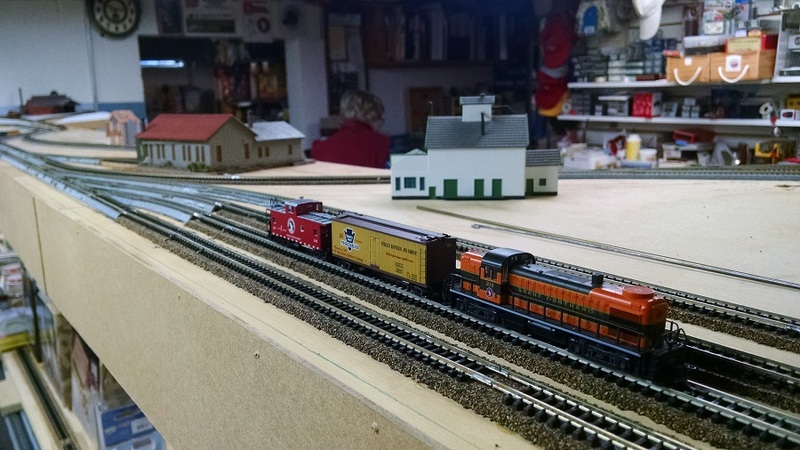 The rolling stock included a GN engine, a caboose and a couple of cars. 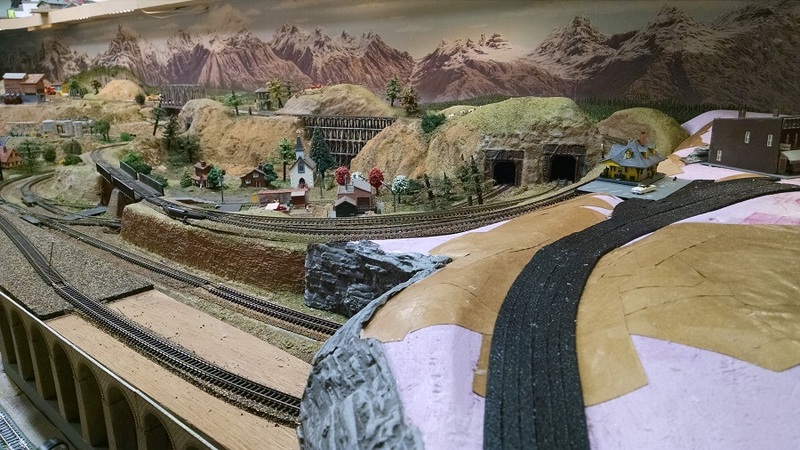 At that time I was on the membership committee for the Great Northern Historical Society. 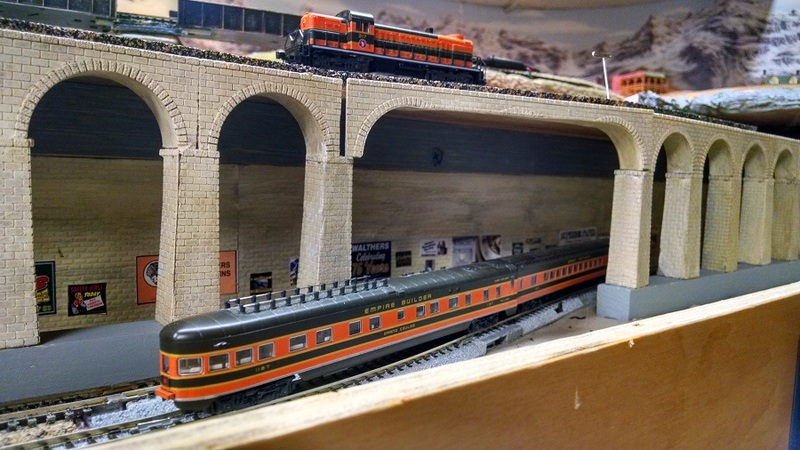 While trying to think of a way to attract new members to the society when we put up our display at train shows, I hit on a brilliant idea. 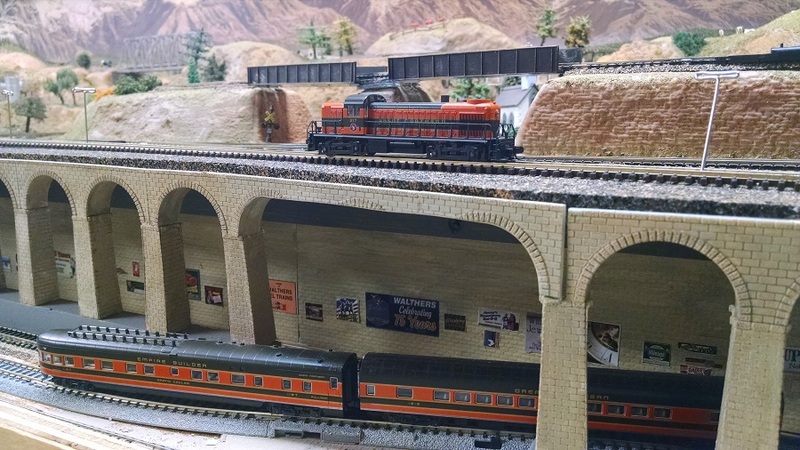 Motion always attracts attention. 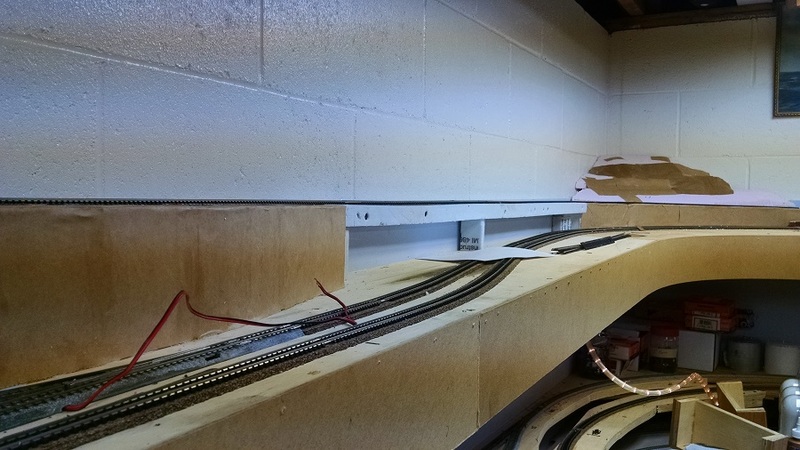 Out came the N scale layout. 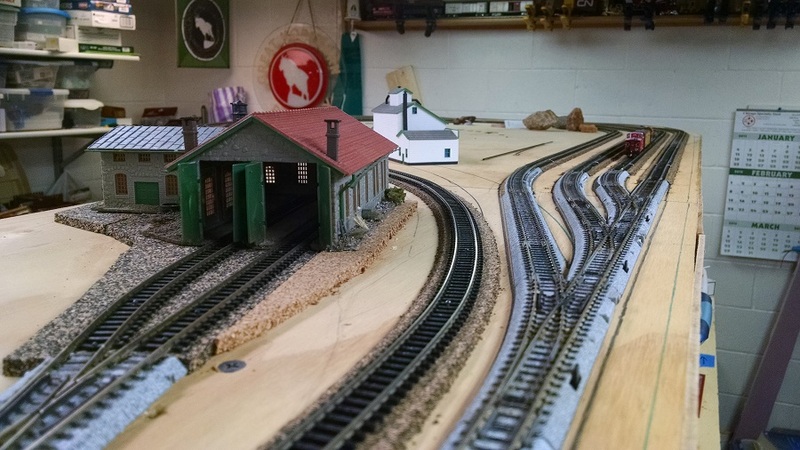 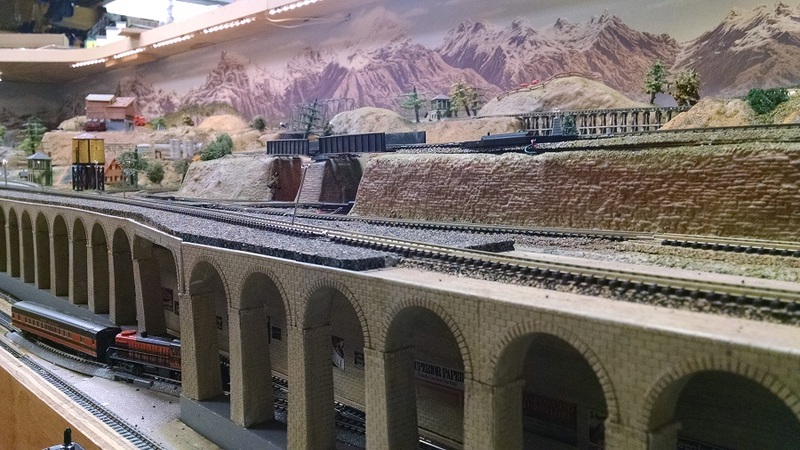 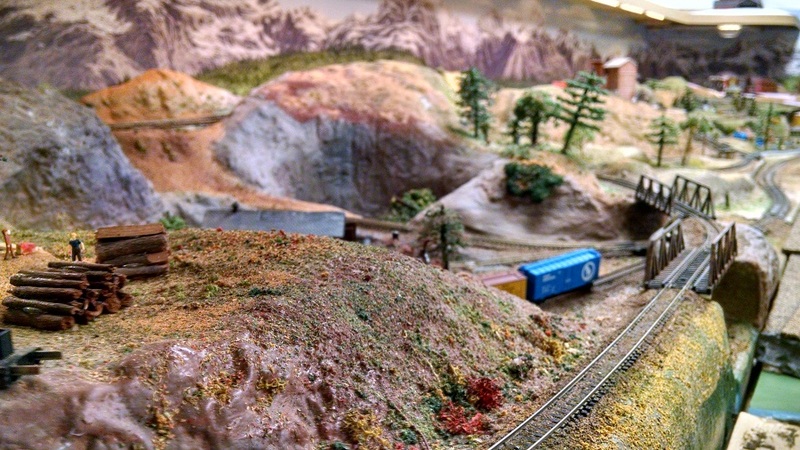 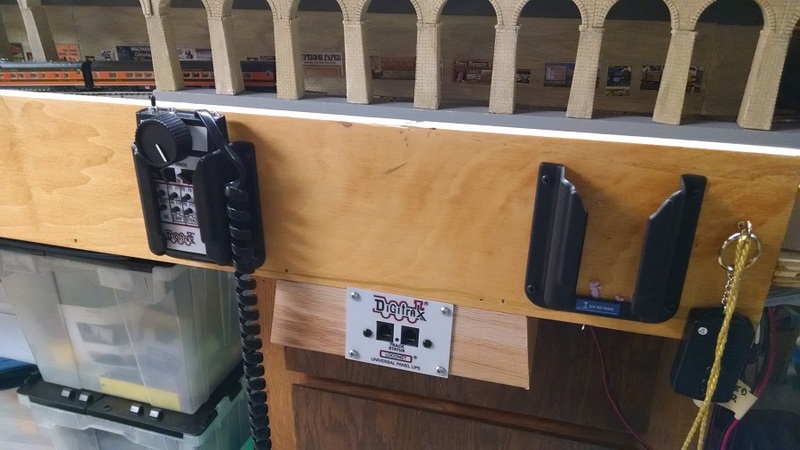 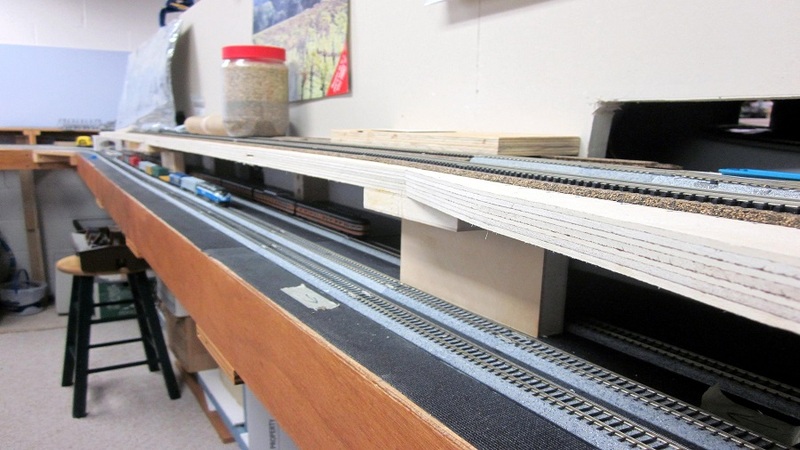 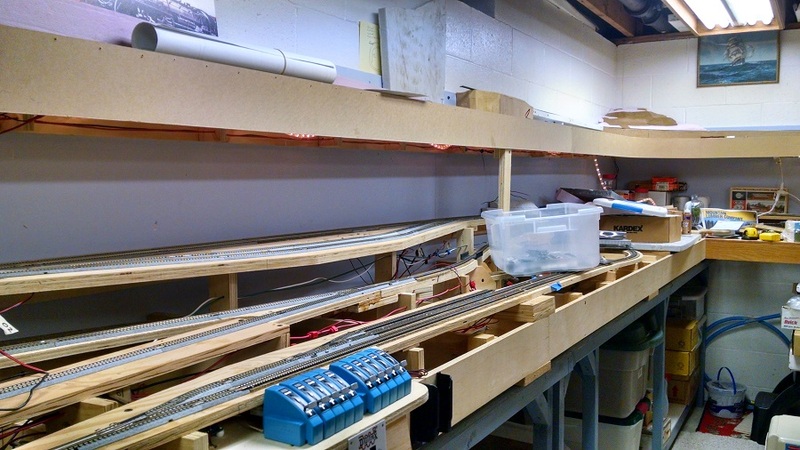 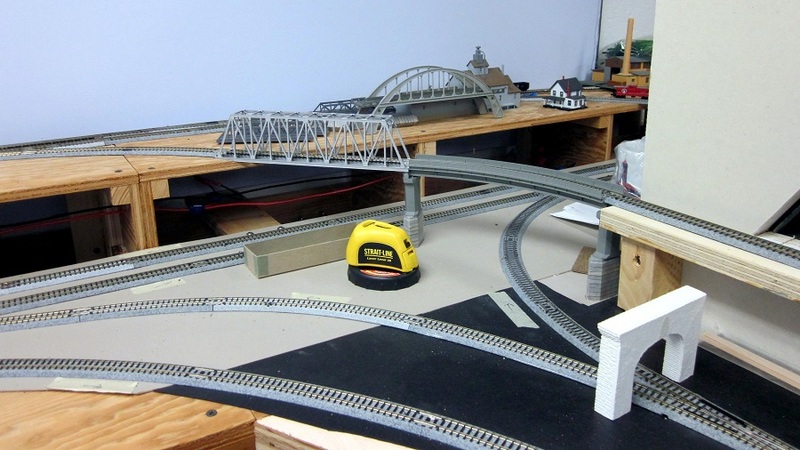 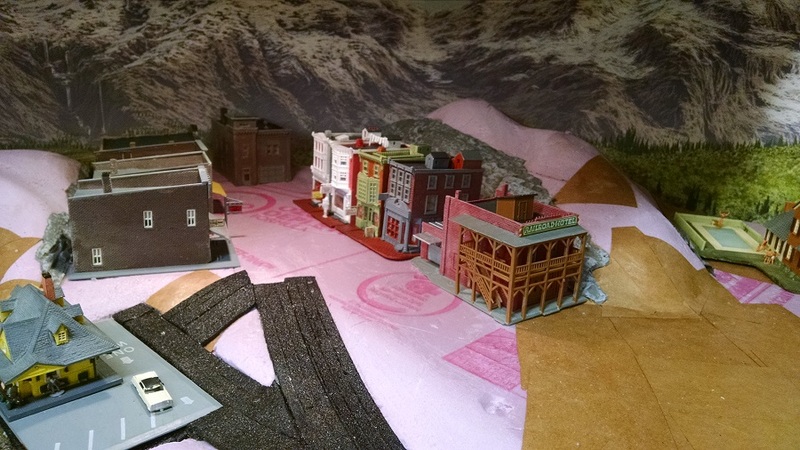 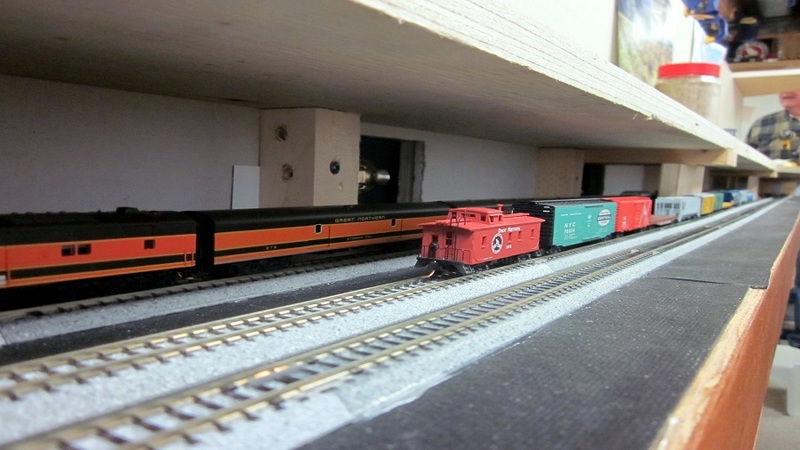 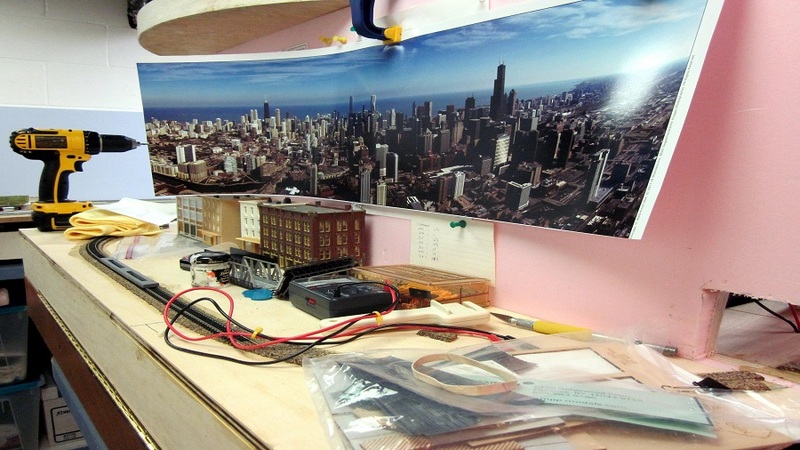 I then constructed a three-module N scale layout and began taking it to shows and meets. 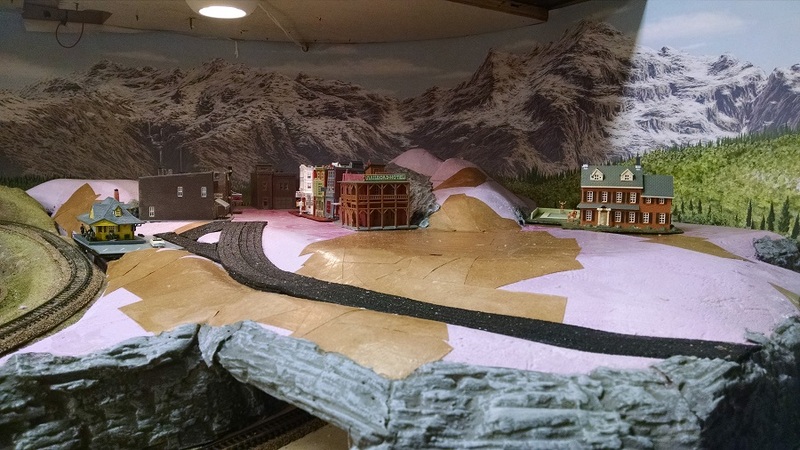 When I decided to “retire” from being the showman, and just attend and participate in shows, the layout did not get to retire. 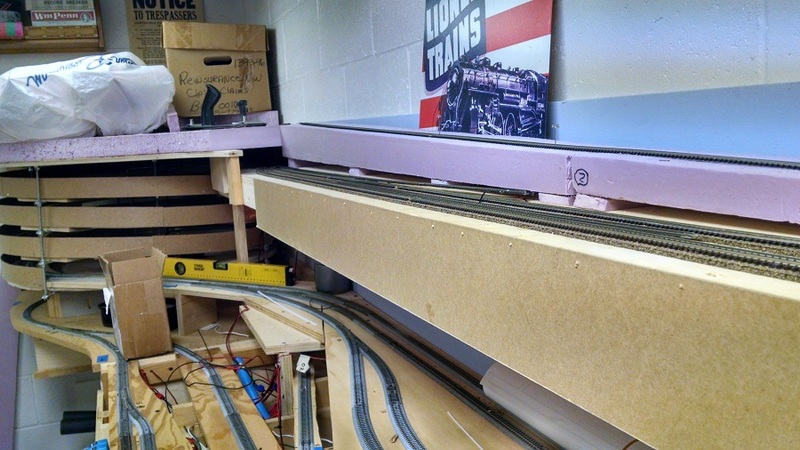 It is now the center island of my growing multi-level basement layout. 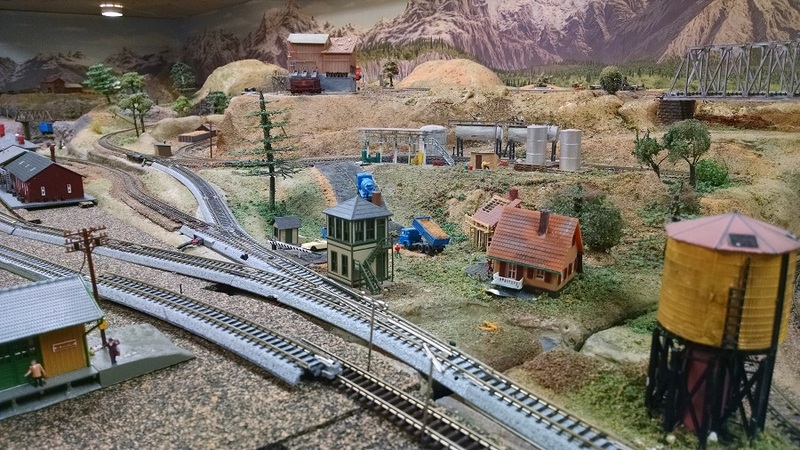 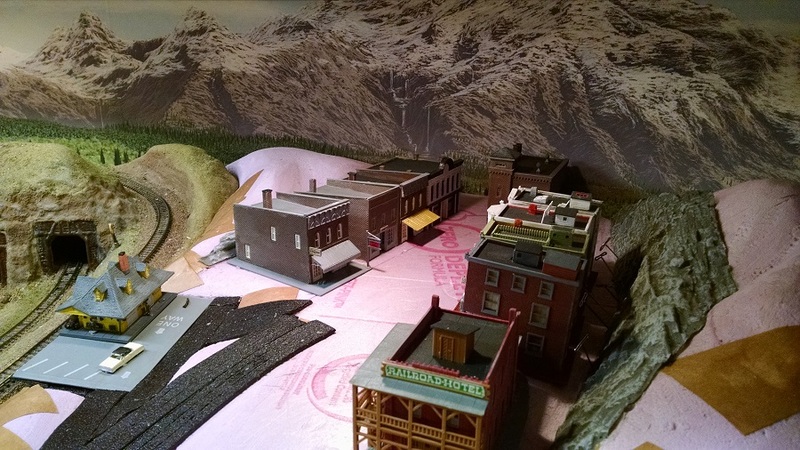 The layout is the fictional depiction of whatever strongly influenced me during our ten years as residents of Colorado. 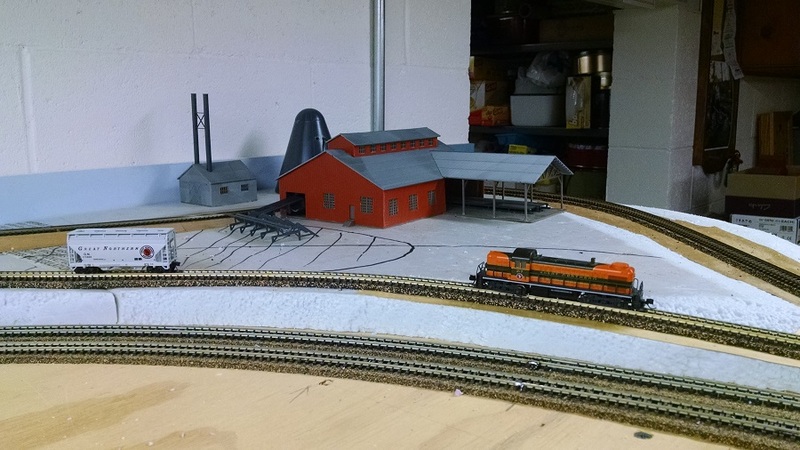 Thrown in for good measure are the high points of the GN. 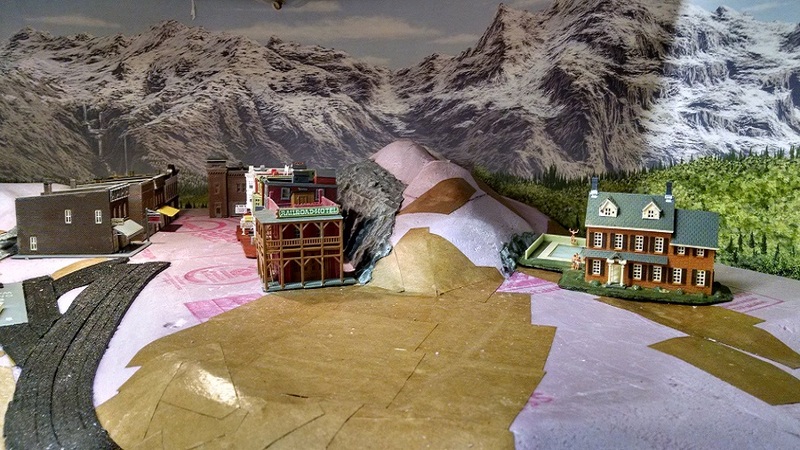 So, I call it the Pinecliff Division of the Great Northern. 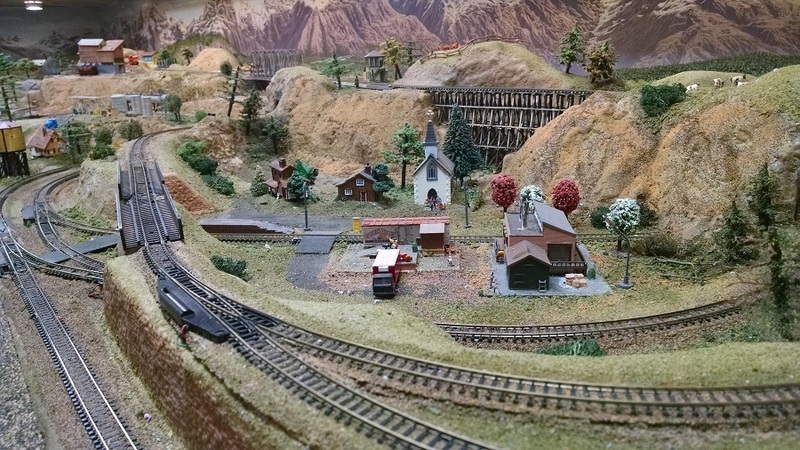 Pinecliff is a small station at the crossing of the D&RGW at Hwy 72 just west of the tunnel district before the railroad reaches Rollinsville and the Moffat Tunnel. 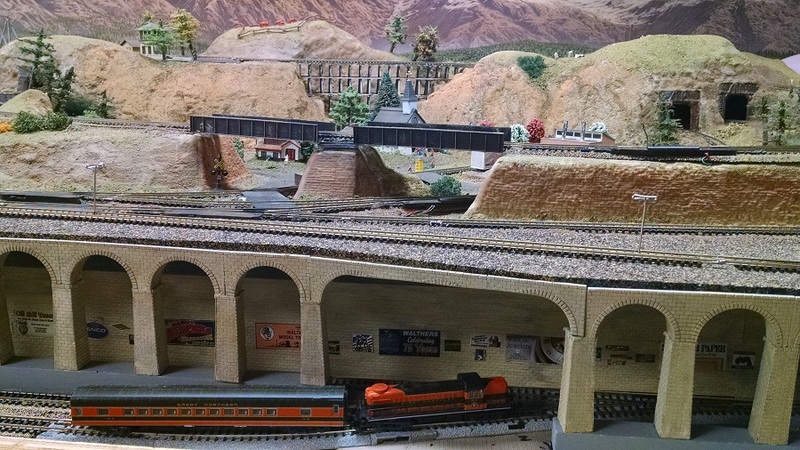 Today, the BNSF is a large user of the track as a result of the track agreements the UP had to give to buy the Rio Grande and SP. 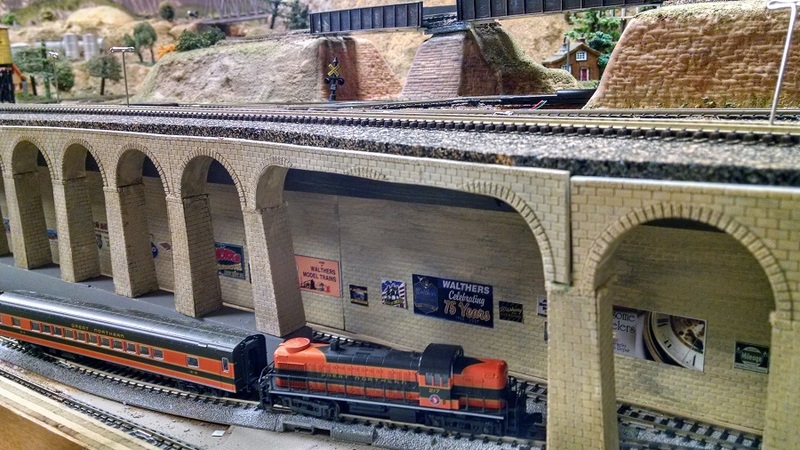 It makes permanent the eastward connection that existed with the WP and GN at Beiber CA.